We have combine popular major kitchen appliances and created excellent kitchen appliances package. 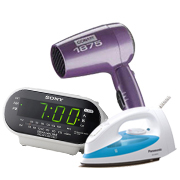 We carry a large and robust selection of high-quality 220 & 240 Volt Appliances. 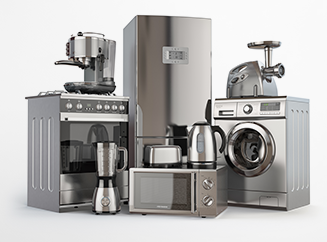 From washers and dryers to kitchen appliances, personal products and more, we're sure to have exactly what you're looking for. As the leaders of international relocation since 1979 and with nearly 40 years of experience, we will gladly assist and help you choose the proper appliances for moving outside of North America. Additionally, our expansive inventory includes the latest and most popular models from the top brand names you've grown to trust. Have a question or looking for something you can't find? Don't hesitate to contact us, our specialists are here to help. Please Note: 220 Volt Appliances can also be used in countries having 230 Volts or 240 Volts.